Lizzie Velásquez is only 27, but she's already a prominent anti-bullying activist known the world over. 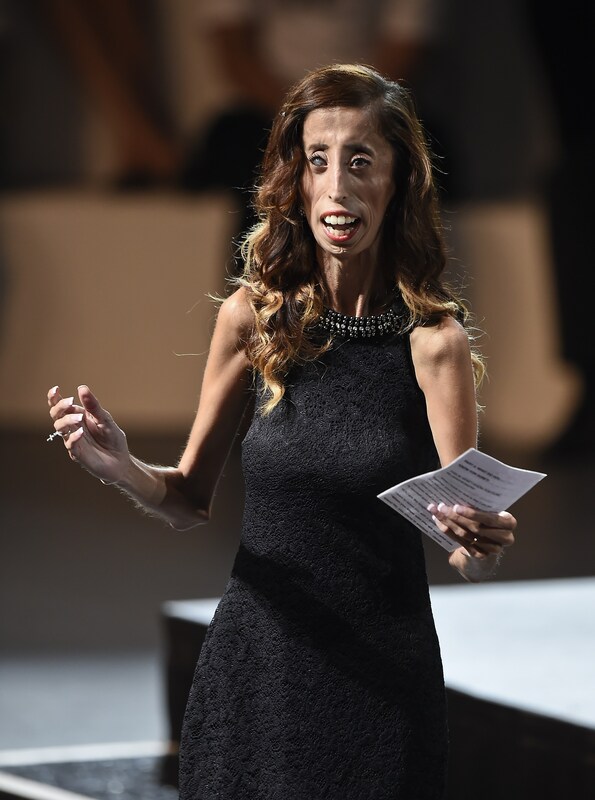 Originally from Austin Texas, Velásquez has a rare disease called Marfan Syndrome and Lipodystrophy that prevents her from gaining weight, and she came into the spotlight when she was 17 after she saw a video of herself on YouTube declaring her "The World's Ugliest Woman." If the video itself wasn't bad enough, comments left by viewers were somehow even worse, with some going so far as to say that she should kill herself. Despite the incredible cruelty shown towards her, the video inspired Velásquez to become an anti-bullying activist, a journey that culminated last year in the debut of her documentary, A Brave Heart : The Lizzie Velásquez Story . The documentary, which premiered at South by Southwest in March 2015 and airs on Lifetime on Oct. 17, follows Velásquez as she heads to Washington D.C. to lobby for the Safe Schools Improvement Act. Since her documentary and her anti-bullying message are being seen and heard the world over, what is Lizzie Velasquez doing now? Just because A Brave Heart is hitting airwaves doesn't mean Velásquez's fight against bullying is over. A popular public speaker since her TEDx talk went viral in 2013, Velásqeuz spends her days traveling around the country, giving lectures, not only about her anti-bullying efforts, but on body acceptance, confidence, and empowerment. And that's not even all she does. Velásquez has taken her fight online, turning her anti-bullying fight into a popular YouTube channel — she currently has 721,029 subscribers. There, Velásquez takes followers behind the scenes of her talks, on family vacations, and participates in popular YouTube trends, like Get Ready With Me videos. YouTube aside, Velásquez is also an accomplished author. She co-wrote an autobiography, Lizzie Beautiful: The Lizzie Velásquez Story , with her mother in 2010, and since then she has released two more books — each released in both English and Spanish. And she has another book on the way — Dare to be Kind: How Extraordinary Compassion Can Transform Our World is hitting bookshelves in June of 2017. It might seem like Velásquez has no downtime, between her writing, public speaking, and YouTubing, but it's definitely not all work and no play for this activist. According to her Instagram page, she spends her free time going to Beyoncé concerts, hanging out with friends and family, and gushing over Kylie Jenner lip kits. Sounds pretty relatable for a celebrity activist, right? Of course, being in the spotlight has its perks. Through her work, Velásquez has met Kylie Jenner, America Ferrera, and Ashley Graham, to name a few. She recently posted a photo of herself with Eva Mendes attending Mendes' New York & Company show at New York Fashion Week. Velásquez's life as an anti-bullying activist is certainly not going to get old anytime soon, and she doesn't seem to be slowing down. It's unclear what's next for Velásquez after the television premiere of A Brave Heart, but whatever she does, it's sure to inspire countless fans and, hopefully, continue to fight bullying around the world.